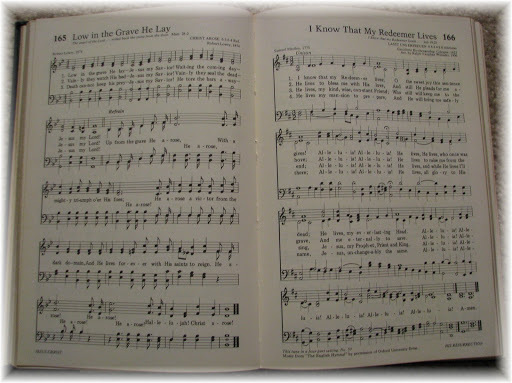 While I love all kinds of music…both hymns and choruses…there is nothing quite like the old hymns. They are so rich in theology and Christ centered. Some of the songs today are very man centered. In focusing on us, we lose the magnificence of God’s plan and Jesus sacrifice for unworthy sinners. We were dead in our sin there is nothing in us that is attractive or deserving of our salvation. It was Jesus Christ and His sacrificial death on the cross in obedience to the Father’s plan that earned our salvation. He paid the debt we owe, but can never pay. While God’s love motivated His plan of redemption and salvation through His Son Jesus Christ…it was His holiness, righteousness, justice, and wrath that necessitated our sin debt be paid. May we choose to know God fully as He has revealed Himself in the Word of God.